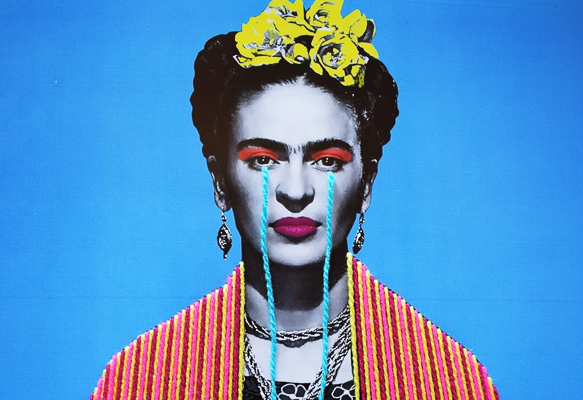 Victoria Villasana’s altered photograph of Frida Kahlo. Mending-as-art by MyQueensWish. And more. 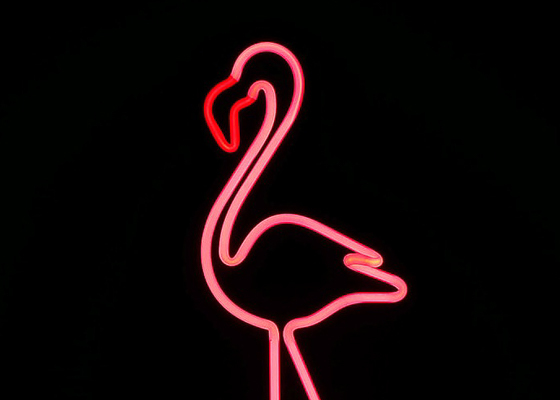 Neon flamingo. Flamingo Rum Club mural. John James Audubon flamingo. And more. 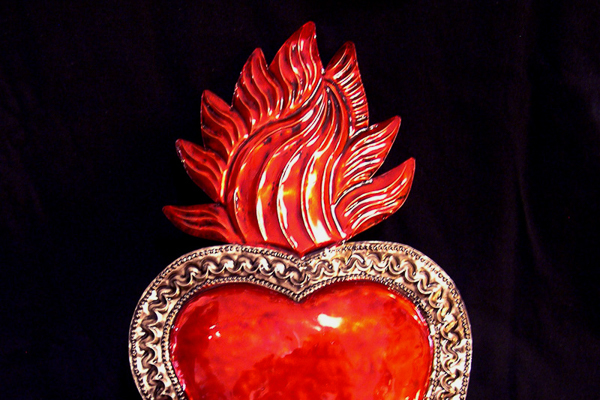 Mexican milagro hearts are a delight in painted tin. The satisfying geometry of circles. 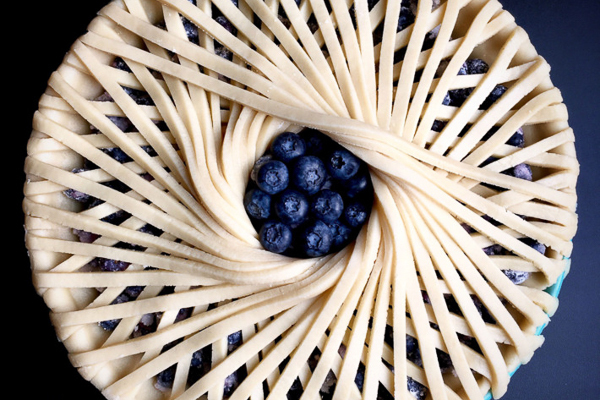 High design pie crust. Suzani textile. Turkish mosque. And more. 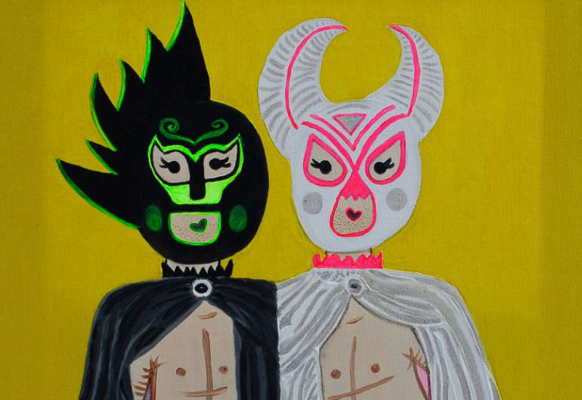 Mexico’s lucha libre wrestling is known for color and flamboyant showmanship. 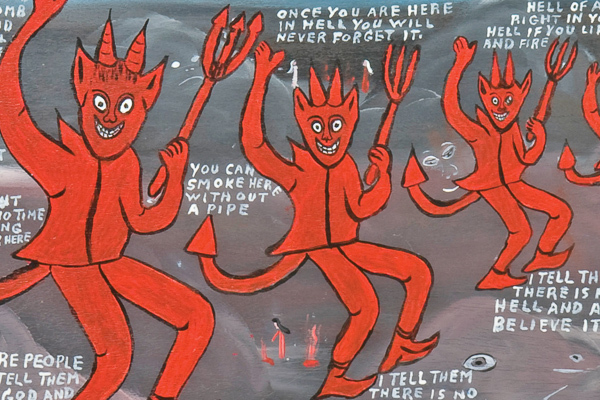 Howard Finster’s Seven Devils detail. Dance of the Sabbath engraving. Oaxacan carved devil couple. And more. Ballet Russe costumes were vivid and graphic. Who doesn’t love a purse museum? And a textile museum. And a folk art museum.